Mellanox BlueField is a hot topic this week. One of the major announcements at FMS 2018 is the availability of the Mellanox BlueField BF1600 and BF1700 NVMeoF controllers. These controllers allow companies to build NVMeoF solutions either for next-generation platforms using ARM CPUs or as SmartNICs. The BlueField SoCs are powered by 64-bit ARM A72 cores and combine dual 100GbE networking, PCIe Gen4 switching, compute, and hardware accelerators. 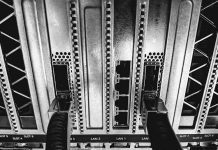 Mellanox is targeting a number of different deployment scenarios. A key one is the disaggregated server model where compute accesses external NVMeoF storage nodes. 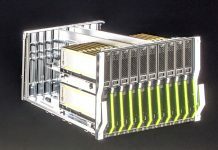 Mellanox, by adding compute and accelerators into the mix, is also able to take the BlueField solutions and run a more traditional active-active SAN architecture. 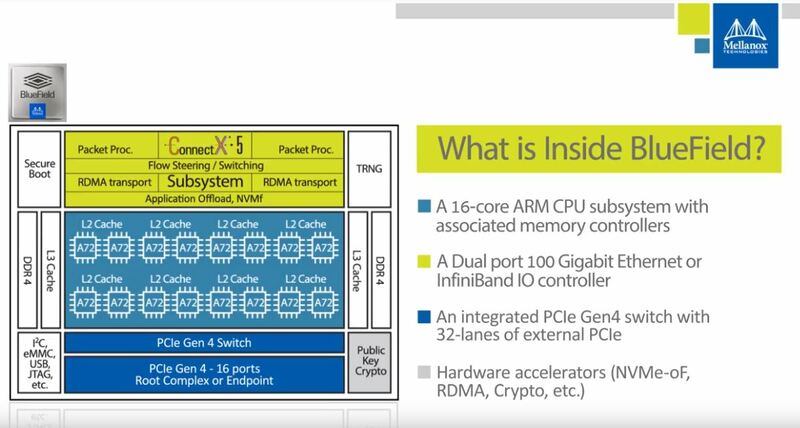 The key here is that Mellanox has PCIe Gen4 switching and dual 100Gbps Ethernet or Infiniband before this is all integrated into x86 platforms. 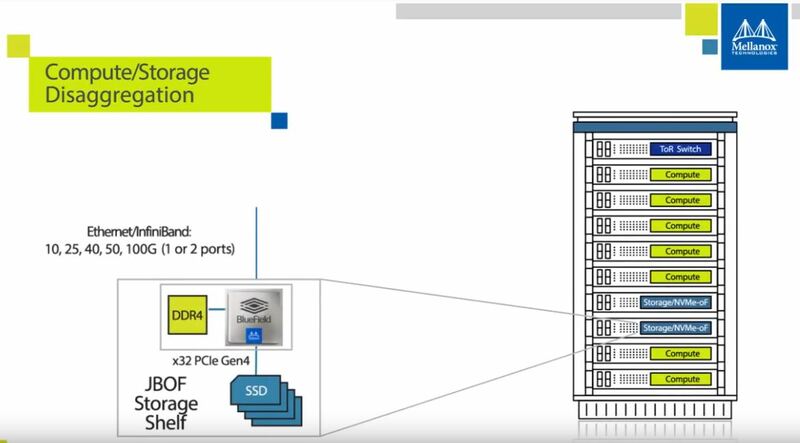 The central idea behind Mellanox BlueField is that provides a 16 core ARM (Cortex A72) CPU along with an integrated PCIe switch and a Mellanox ConnectX-5 networking IP base to provide a complete solution for NVMeoF storage appliances. 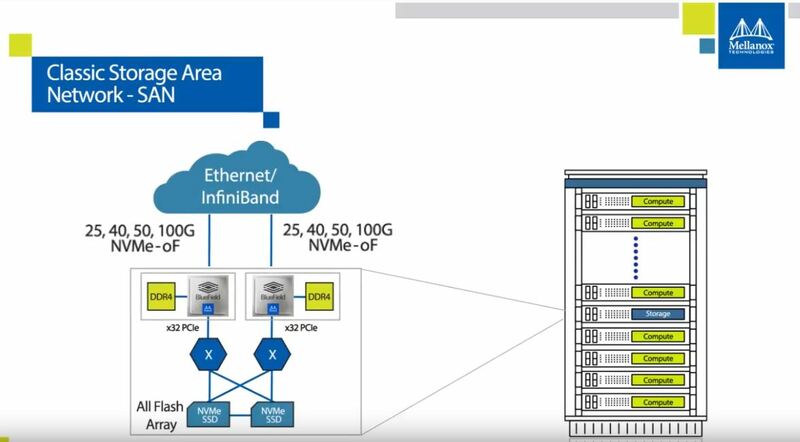 For systems integrators, this means there is no need to build a solution around an x86 CPU and chipset, a PCIe Gen4 switch, and then add a Mellanox ConnectX-5 100GbE/ EDR Infiniband adapter. 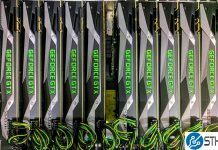 This solution combines the above and has hardware acceleration for much of the NVMeoF stack. Mellanox Technologies, Ltd. (NASDAQ: MLNX), a leading supplier of high-performance, end-to-end smart interconnect solutions for data center servers and storage systems, today introduced new BlueField-based storage controllers, which are being showcased this week at the Flash Memory Summit conference. These controllers offer ultra-high performance for Ethernet Storage Fabrics, along with extreme efficiency and programmable virtualization for NVMe over Fabrics (NVMe-oF), empowering customers to build and deploy the world’s fastest and most flexible networked flash storage solutions. The BlueField BF1600 and BF1700 storage controllers deliver over 4 million IOPS with NVMe-oF, up to 200Gb/s of network and PCIe bandwidth, and network ports configurable as either Ethernet or InfiniBand. They provide leading performance for NVMe over RoCE (RDMA over Converged Ethernet), InfiniBand, and TCP/IP, and include smart offloads for storage including NVMe-oF, erasure coding, and T10-DIF data integrity signatures. The BlueField SoC integrates the award winning ConnectX-5 network adapter with sixteen 64-bit Arm cores to create a fully-programmable environment for storage software such as compression, encryption, RAID, and virtualization. The new BlueField storage controllers improve the performance and efficiency and extend the capabilities of Ethernet Storage Fabrics. In addition they fully support advanced InfiniBand-based storage solutions. What sort of density improvement could be expect? Compare to Intel’s “ruler” which is already 1PB per 1U.